Spring may officially be here, but I haven't come to terms with the fact that winter did me dirty. After a multitude of snow days in New York City and all the time I spent indoors avoiding the cold (and catching up on Game of Thrones), my naturally tan skin has never looked more dull. But just as I was setting my Hopper app to watch Puerto Rico flights (because if the sun won't come to me, I'll go to it), Rihanna dropped literal liquid gold. Fenty fans have been demanding a restock of the popular Body Lava formula — which launched last March and immediately sold out — and the brand finally listened, announcing the product's return this week with a photo of the makeup mogul dripping in gold from head to toe. The brand also launched a brand-new shade: a liquid homage to the brand's best-selling powder highlighter, Trophy Wife. As expected, the internet is going bananas over this release, with some people even adjusting their budgets. "Should I save my money and pay my car payment or should I buy $60 trophy wife body lava?" wrote one Twitter user, while someone else tweeted, "I was already putting my trophy wife highlight on my body, so now I’m super excited for the body lava." And I was just as excited. Although I never used the original Body Lava, if it could transform me into a glistening goddess like Rihanna in even the slightest way, why not? 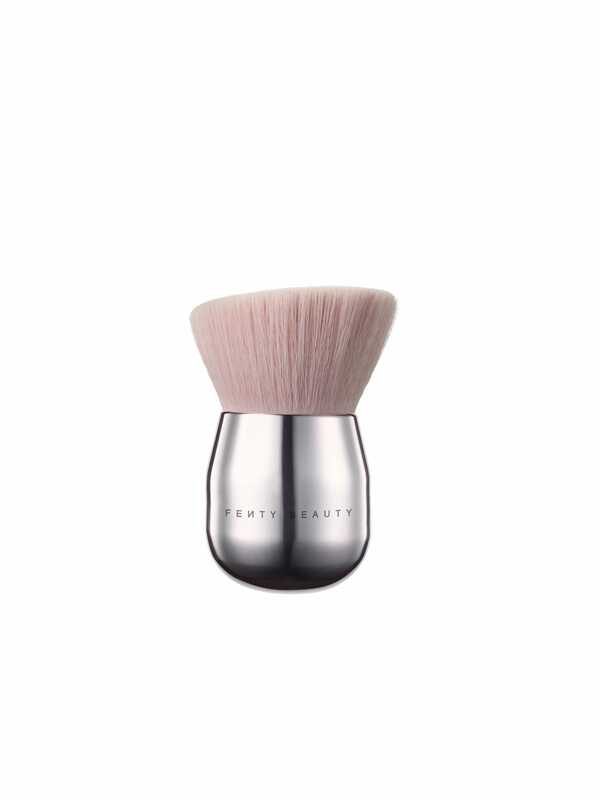 Once the body luminizer and the Face and Body Kabuki Brush (yes, the one from Rihanna's viral shoulder video) landed on my desk, I will say I was a bit worried it would be too much. As someone who sticks to the same mauve-pink lipstick and has never rocked color on her eyelids, body makeup seems like a lot. But dug up an off-the-shoulder maxi dress (in 40 degree weather, mind you), poured two pumps of the formula onto the flat brush, and smoothed it all over my upper chest. Whoa. The formula blends seamlessly onto the skin, just leaving gold flecks and a dewy finish. I will say, it's important to apply the product under good lighting so that you don't overdo it. But overall, my complexion was noticeably gleaming and the radiance somehow makes my skin look more tan. "You look like you just came back from vacation," said my co-worker once I got to the office. Hmmm. Maybe I should get a few more shoulder-baring tops? I shared the formula with some of my colleagues, and it was thumbs up all around. "Honestly, photos cannot do this glow justice," says Ariana Romero, a R29 TV critic, and Hildiana Cano, our human resources manager, agrees, "It makes me feel like I’m permanently glowing, like I belong on the beach. But who needs a tan when you can just put this on?" Channing Hargrove, a Refinery29 fashion writer, felt it superseded her tried-and-true baby oil and body lotion combo. "I can't wait to wear this all summer," she says. 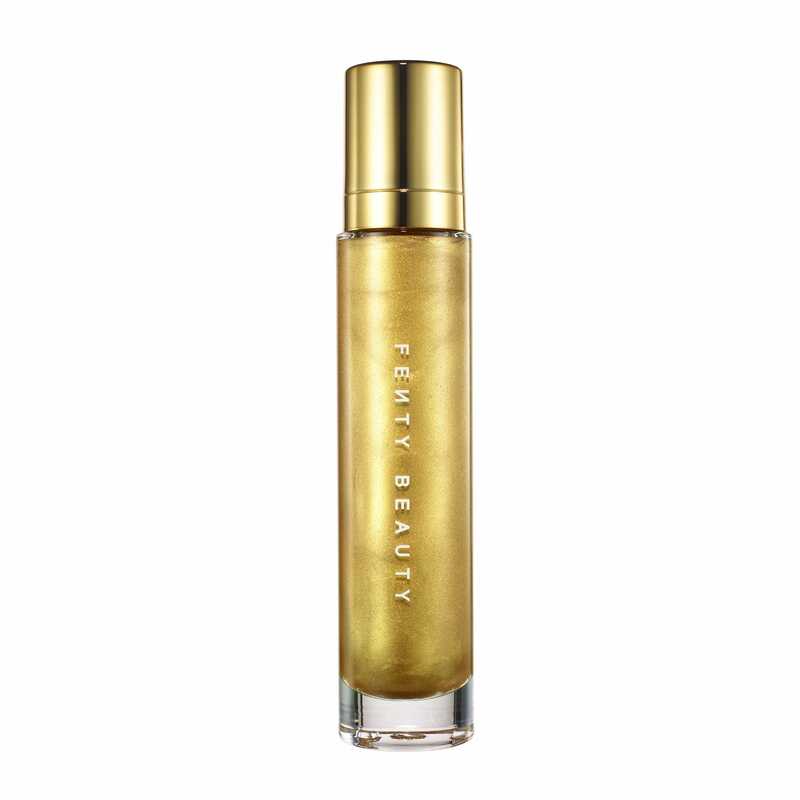 Although it is on the pricier end at $59, the bottle holds a substantial amount of product. Unless you're pouring this on every day (and if you do, live your best life), it should last you well into next winter when you'll be desperately needing it again. So, if you're wondering whether the Body Lava glow is the real deal, let me leave you with this: My Hopper alerts have been turned off. Summer, I'll see you when I see you.